Wildlife can be breathtaking to view from afar, but it can be quite a different story when certain animals wonder onto your property. 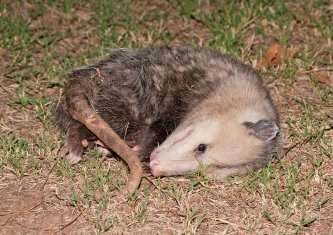 Bats, raccoons, skunks, squirrels, and possums are some of the most common nuisance wildlife homeowners and businesses encounter in San Francisco. In order to prevent problems brought on by nuisance wildlife, remove dead trees and foliage from your lawn and seal or remove pet food and water. Also make sure your garbage cans are firmly closed to prevent wildlife scavenging. Fencing can also be helpful in keeping raccoons, skunks, and possums off your property. 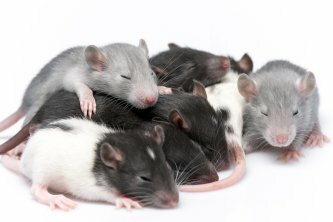 If traditional measures don’t alleviate your wildlife problems, contact a pest control company in Pleasanton that specializes in wildlife management and removal . Professional trapping and removal of small animals can successfully deal with your wildlife problems. Birds are an important part of our ecosystem. But a bird infestation on your residential or commercial property can cause a number of health problems if you do not arrange for professional bird control services in Pleasanton . Pigeons, in particular, can cause a great deal of damage and put people of all ages at risk for various diseases. In this article, we will review some of the damage that pigeons can do. Pigeon nests are built in rain gutters, the underside of roof corners, and drains. If a pigeon nest clogs any parts of the roof drainage system, the roof will not drain and myriad structural problems can result—including a collapsed roof, in worst cases. Bird nests near chimneys and ventilation systems can block airflow into the building, which can cause disease-carrying pigeon feathers to spread throughput the interior. They can even block the exhaust system, which can cause serious death or illness to building inhabitants due to carbon monoxide poisoning. Pigeon nests are flammable, so they also increase the chances of fire damage. Whether alone or in large numbers, pigeons make noises for hours on end. These noises can be annoying, such as when you’re trying to sleep for example. But they can also be financially detrimental, such as when customers decide that they don’t want to return to a business because of the pigeon problem. Droppings are widely considered the most serious problem that comes from a bird infestation. Pigeon droppings, in particular, can carry more than 60 transmittable diseases and dangerous parasitic organisms. 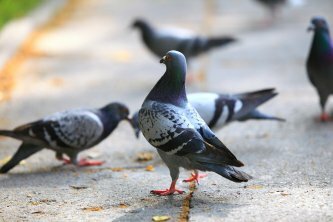 Even inhaling microorganisms found in dried pigeon droppings can cause a number of diseases. Droppings can damage property as well, discoloring building and car paint, ruining wood, clogging gutters, staining fabric, and shorting out electrical equipment. Aside from causing physical damage, pigeon droppings also cause damage to a company’s image or a home’s curb appeal.